This documentation article is not only available as API-specification. Click here to see the article as normal documentation. Here you can find everything you need to know about our Smart Suggest API and even can directly try it yourself! The Smart Suggest styles can be overwritten by the CSS from the shop. 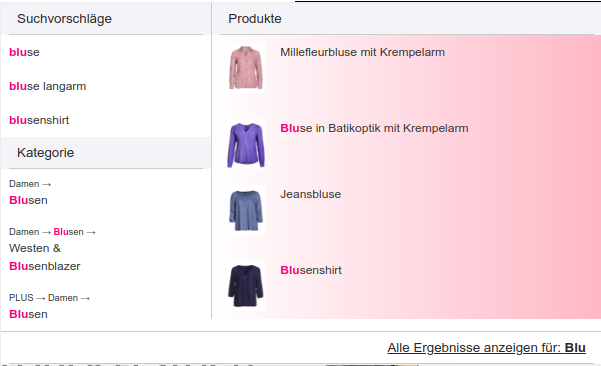 Here you can find some examples for style selectors in order to style basic stuff. The following selectors give a general hint in how to style product placements in the Smart Suggest. 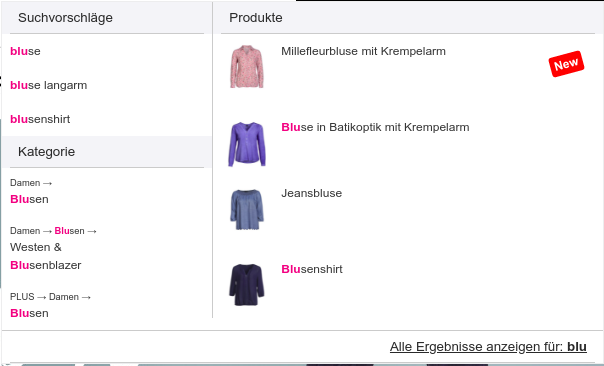 The following examples will show the code and the result in a live shop visually. If you need any help with stylings, please contact our technical support.